I got the new Samsung 4K UHD monitor. Went from 1920 x 1200 (2,304,000 pixels) 24″ monitor to 3840 x 2160 (8,294,400 pixels) 28″ monitor. For example, in Excel on my old monitor I can see 29 columns (AC) to 43 rows or 1,305 cells. Now I can see 59 columns (BG) to 93 rows or 5,487 cells. Games and videos in 4K look awesome. I got postgreSQL and pgAdmin3 working on my Ubuntu 12.10 server and got pgAdmin3 connecting to it on Windows. It took some configuring, since by default is set to listen on localhost. I also had to edit pg_hba.conf file and add the following line, since I was being denied access. I took my old Gigabyte GA EX38-DS4 motherboard, old 8GB DDR2 memory, old Intel Core2 Extreme X9650 3.00 Ghz CPU, my son’s old Cooler Master CM Storm case, my son’s old NVidia GeForce GTX 460 SE, and bought a new Thermaltake Smart 550W Power Supply ($59.99), new ASUS DRW-24B1ST 24X SATA Internal DVD Burner($22.99), and new Western Digital Desktop internal SATA 2TB Hard Drive ($69.99) parts to build my new Ubuntu Linux 14.10 computer to use for development. Total cost $163.68 (152.97 + 10.71 Tax). I had an old IDE DVD Burner and Seagate IDE 160GB Hard Drive, but I wanted more modern SATA drives. My old Antec 1000W Power Supply (that I dropped about 2.5 months ago) got it working by opening up and when I put the cover back on it stop working. Something is shorting it, but I did not want to take the risk of being shocked. I installed Oracle Java 8 JDK u25, Apache Ant, Apache Tomcat, Jetbrains IntelliJ IDEA 14 Ultimate so far. Jeremy installed Ubuntu on Damian’s Acer Chromebook and Geo’s Samsung Chromebook. Using instructions from http://chromeos-cr48.blogspot.com/2013/05/chrubuntu-one-script-to-rule-them-all_31.html for running Minecraft on the Chromebook. By having your world in the save folder it allows you to get to access the world using Singleplayer or Multiplayer (via Minecraft Server). You do not want to access your world as Singleplayer if the Multiplayer server is running and accessing that world. In Minecraft the world folders for the Nether is in DIM-1 and The End is in DIM1 as sub-folder under myworld. For example in Windows 7 the path is C:\Users\me\AppData\Roaming\.minecraft\saves\myworld\DIM-1 and C:\Users\me\AppData\Roaming\.minecraft\saves\myworld\DIM1 respectively. Before starting zip backup of your world folder before setting up Minecraft server. You can put the minecraft_server.1.6.2.jar file in saves folder, but this will limit you to run only one server for one world at a time and it will litter the save folder with support files, such a server.properties, ops.txt, etc. What I recommend is to create a Minecraft folder for Minecraft servers and the Minecraft.exe (launcher) under C:\Games. Setting up the Vanilla Minecraft server to use the world in your saves folder is very simple. Create a folder for myworld in C:\Games\Minecraft folder. You can use the BukkitGUI to launch the vanilla Minecraft Server. I started the Minecraft server to create all the support files in C:\Games\Minecraft\myworld folder. This will also create a sub-folder named world by default. Stop the server and quit BukkitGUI. Delete the world folder that was just created in C:\Games\Minecraft\myworld folder. You are now ready to start MineCraft server using mywold save. Remember if the server is running always access it using Mulitplayer not Singleplayer. Setting up the CraftBukkit Minecraft server to use the world in your saves folder requires creating two additional Symbolic links. Follow the steps 1 through 9 in settin up the vanilla Minecraft server above. Once you have it running, then stop the server and proceed to step 2 below. Copy craftbukkit-1.6.2-R0.1.jar to C:\Games\Minecraft\myworld folder. Configure BukkitGUI to launch craftbukkit. Start the CraftBukkit server. When you start the server it will move the Nether DIM-1 world into a new folder will it will create using the world name suffixed with _nether (i.e. C:\Games\Minecraft\myworld_nether) and move the The End DIM1 world into a new folder that it will create using the world name suffixed with _the_end (i.e. C:\Games\Minecraft\myworld_the_end) . (NOTE if you forgot to shutdown the Minecraft/Bukkit server it will copied it). Shutdown the server and quit BukkitGUI. You are now ready to start CraftBukkit server using mywold save. Requires Forge Modloader: minecraftmods.zip – unzip this file into your .minecraft folder. Went to Guitar Center today and played some 12-string guitars. 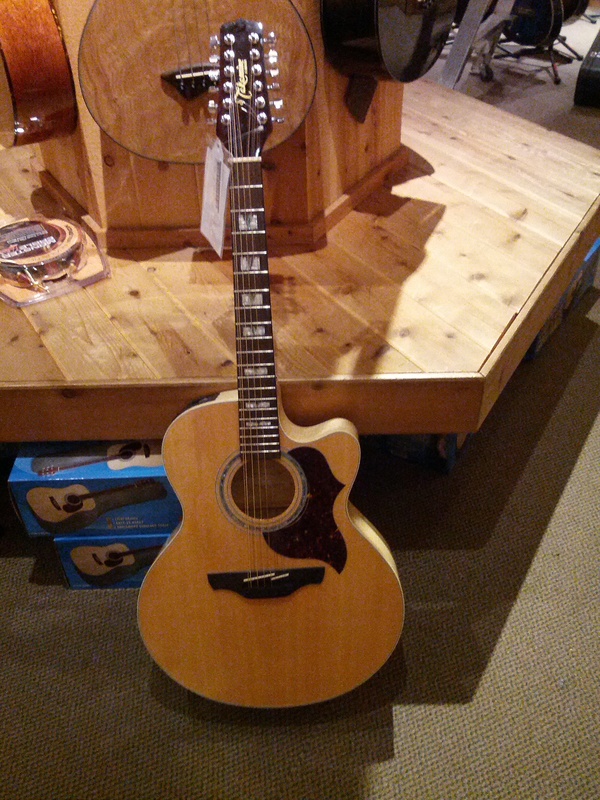 I played a Martin 12-string, used Ovation 12-string and a Takamine G-Series 12-string guitar. I loved the look and the sound the of the Takamine EG523SC-12 guitar. Here is a picture I took of the guitar at Guitar Center. Getting Metal of Honor Warfighter today at Best Buy. I got a great deal yesterday for Metal of Honor Warfighter yesterday CyberMonday at bestbuy.com. I used my $15 of Reward which got the total price down to $14.97. Finally got my site backup after it was deleted, by accident. Had no backup so I lost all of my post. A new start again.